* ان يمارس الطالب الطريقه المتبعه للبحث عن وظيفه في الواقع مما سيفده بعد التخرج. * ان يختار الطالب الجهه التدريبيه التي تختص في المجالات التي يكون الطالب مهتم بها. 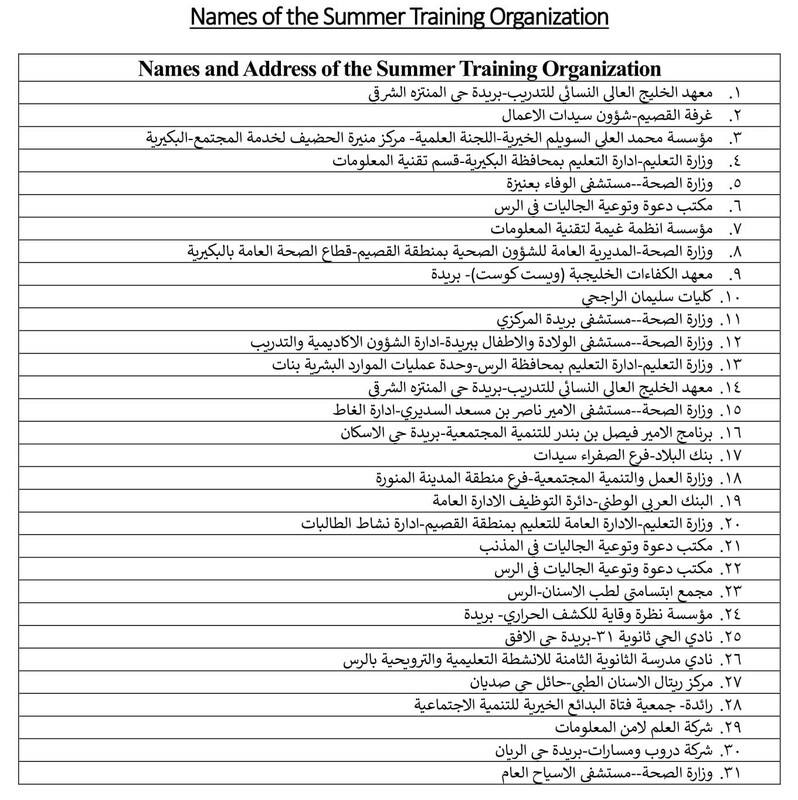 The purpose of the undergraduate practical training program for IT specialtie in the Collage of Computer, at Qassim University is to provide opportunities to the students to receive hands-on technical experience at an organization. It is highly desirable that a student during his summer training gets an opportunity to improve her communication skills, get familiar with new tools, development facilities and has a chance to work in a professional environment. Students should not perform administrative tasks such as help desk, or secretarial tasks.